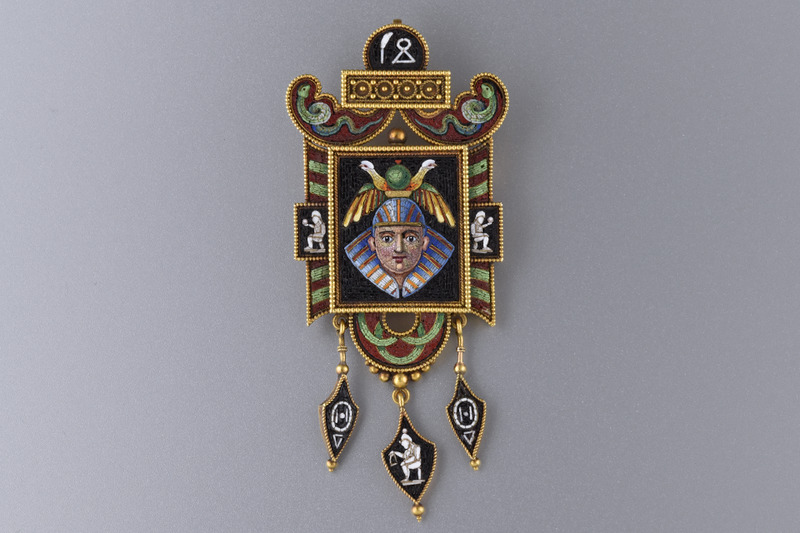 Mastered by Italian jewelers, micro mosaic is often so detailed they are mistaken for paintings. 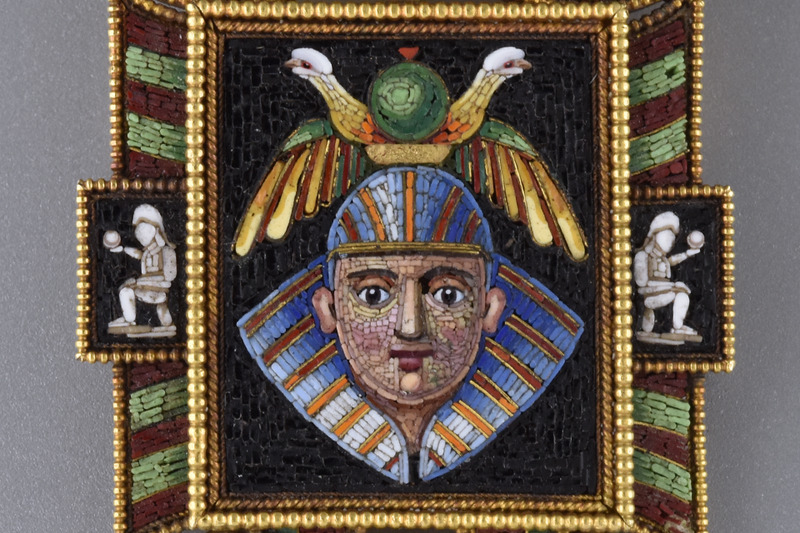 This image is particularly striking with the expert use of multi tonal hues to create rosy cheeks and shadowing throughout the scene. 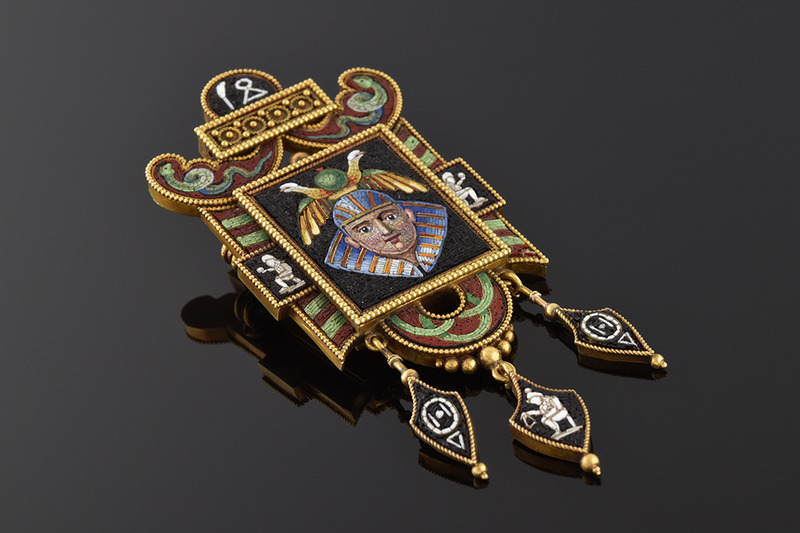 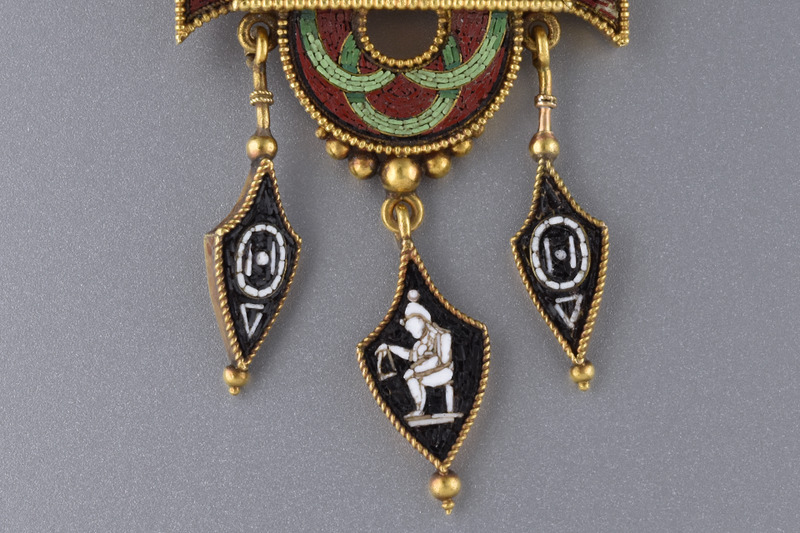 The images of serpents and hieroglyphics also in micro mosaic create a remarkable piece of jewelry. 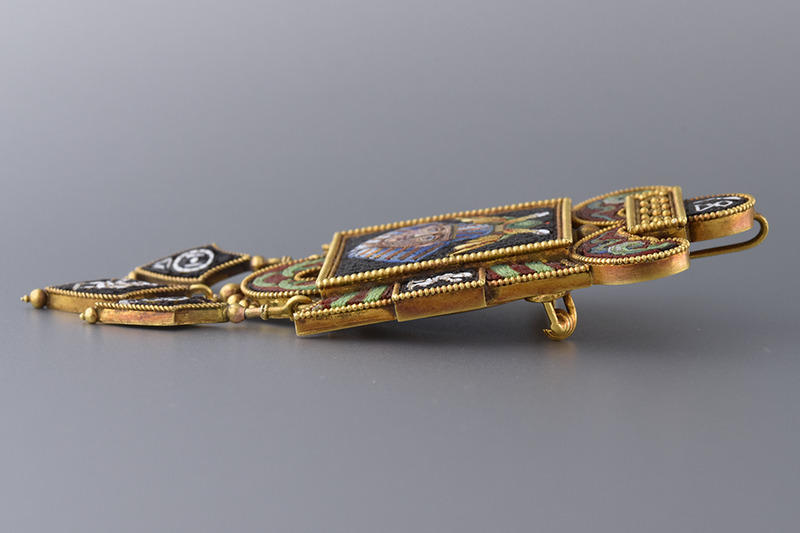 Beautiful jewelry was designed during the revival period of the Victorian era with inspiration from ancient discoveries during this time. 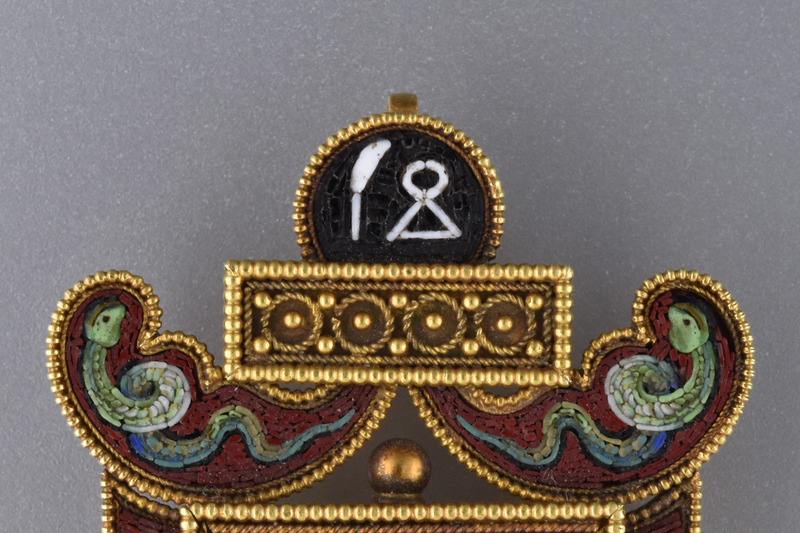 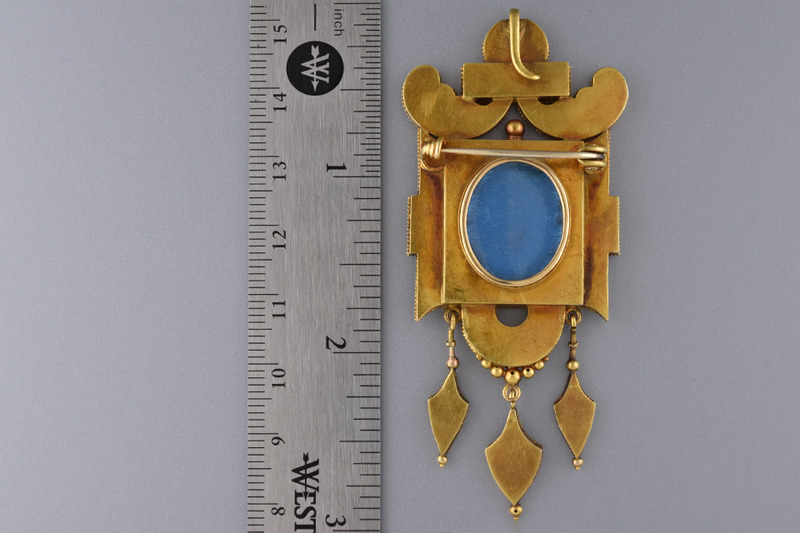 This piece also incorporates an element of Etruscan revival across the top and on the back side a hair receiver locket. 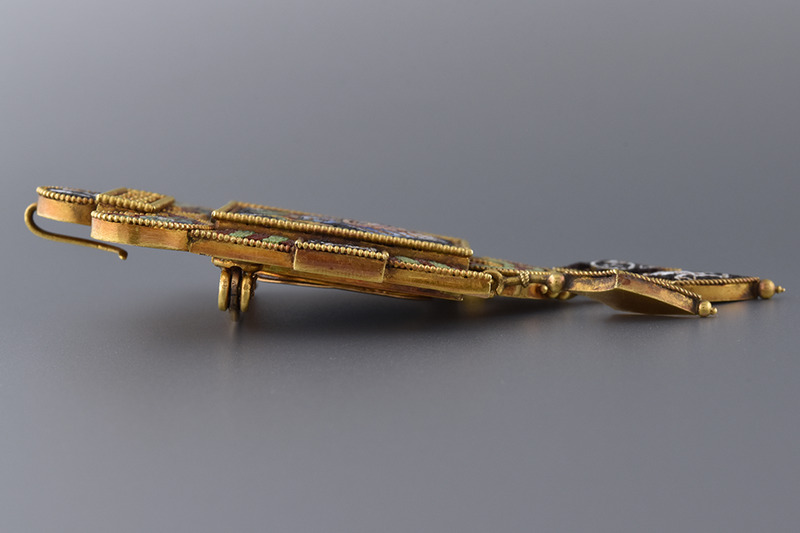 A shepherds hook and a sheath over the pin completes this incredible work of art.